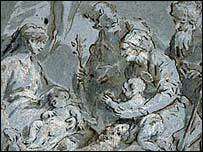 The British Museum would be breaking the law if it gave back four Old Master drawings that were looted by the Nazis, London's High Court has ruled. The museum wants to return the works to a Jewish family that lost them in 1939. But the court said "moral obligations" could not override the British Museum Act, which protects the collection. The case was watched closely because it could have opened the door for other items, including the Elgin Marbles, being returned by the institution. But Vice Chancellor Sir Andrew Morritt, a senior judge in the Chancery Division of the High Court, said the law would need to be changed for such returns to be legal. The four drawings, worth an estimated £150,000, were stolen from Czech lawyer Arthur Feldmann, who was killed by the Nazis. The British Museum bought them for nine guineas - then worth £9.45, now about £250 in today's money - in 1946. The Commission for Looted Art in Europe, representing Dr Feldmann's heirs, said: "The ruling is significant for all claimants of looted art from the Nazi era. "The Government ought now to legislate in order to achieve clarity for all claimants." They said a way could still be found to have the drawings returned "in accordance with the British Museum's long-standing commitment so to do". Sir Andrew ruled: "In my judgment, only legislation or a bona fide compromise of a claim of the heirs of Dr Feldmann to be entitled to the four drawings could entitle the trustees to transfer any of them to those heirs." He had been asked for clarification by Attorney General Lord Goldsmith, who said a decision to hand the pictures back could have left the museum open to renewed claims for the Elgin Marbles. 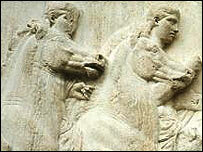 The Elgin Marbles, removed from Athens' Parthenon in 1811 by Lord Elgin, are the subject of an ongoing ownership dispute between the UK and Greece. Will Henderson, a lawyer for Lord Goldsmith, told the court: "Once the principle is established, then it could apply to any objects, whatever their provenance. "Whether they were looted during the course of the Holocaust or whether they were acquired in unseemly circumstances at any other time. "What if the moral claim were very different - if it were a cultural claim rather than a proprietary claim? The door would be open."